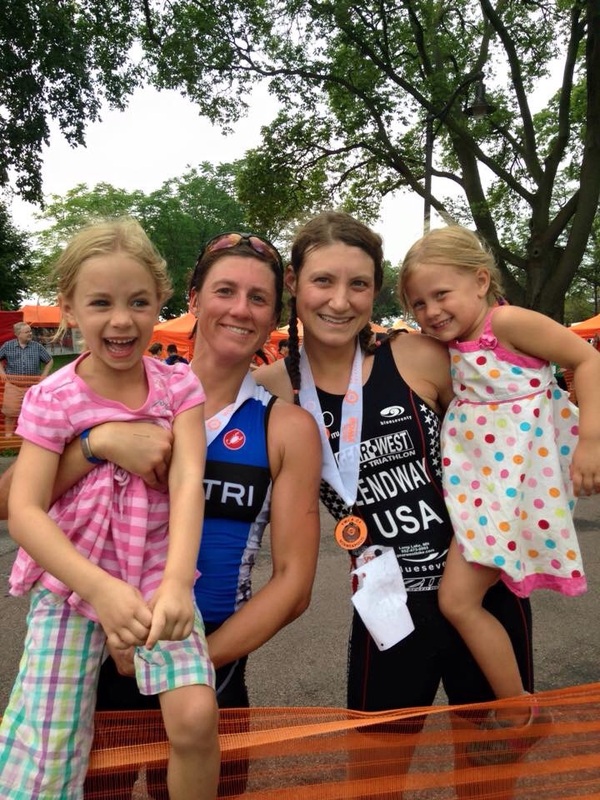 Do you know how many women finished the USA Triathlon Olympic Distance National Championships this year? 1181. Do you know how many women finished the sprint version of that race? 696. The YWCA Women’s tri had 935 women finish the race. That is not too far off from the number of finishers at the National Championships, one of the biggest races annually in the US. 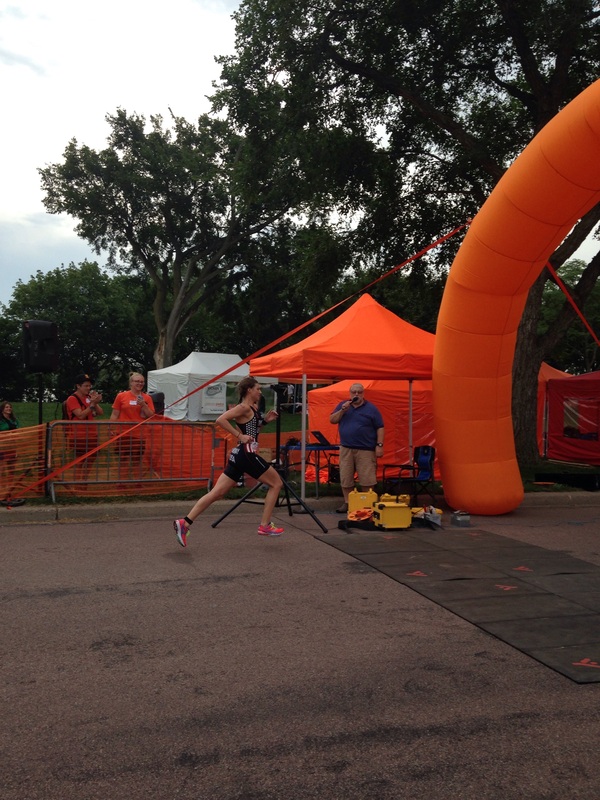 Do you know how many women age 50+ finished at Lifetime Minneapolis, Minnesota’s biggest triathlon? 43 women in the Olympic, Sprint and Super Sprint combined. 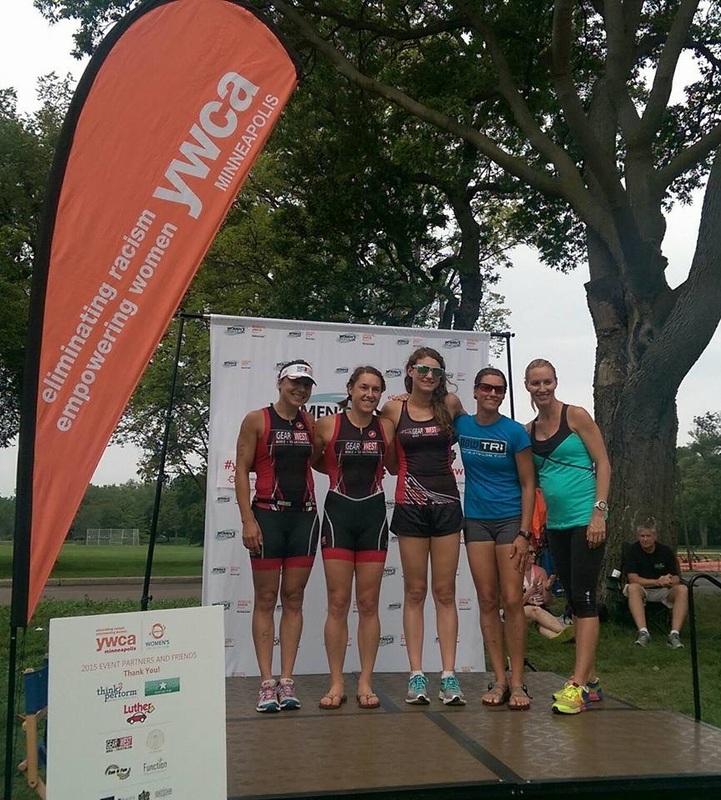 The YWCA tri had 251 50+ women finish the race. Yes, you read that correctly, more than five times as many. 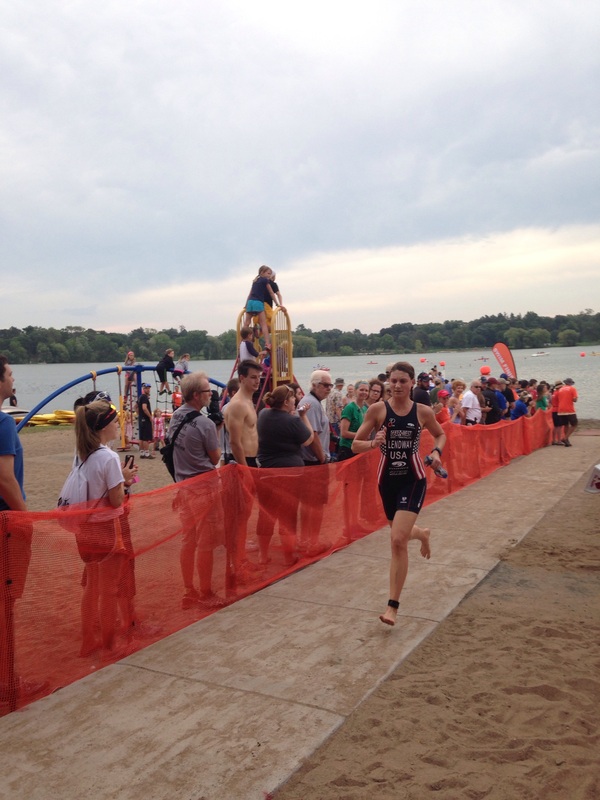 Furthermore, of those 935 racers, 335 women were first time triathlon racers. That means more than a third of the athletes that finished had never done a triathlon before. I would wager that 335 is a larger number than most Minnesota races have as total finishers. There are a million (I don’t have the actual stat on this one) volunteers making sure everything goes off without a hitch (THANK YOU!). There are volunteers available pre-race to answer questions, volunteers throughout the course so there’s no way of going off course and volunteers serving up delicious snacks post-race to make sure everyone is refueled. The volunteers are also wonderful cheerleaders throughout the course which is great to keep you motivated during the race. Awesome swag, a waterproof backpack, a v-neck tech t-shirt, a delicious chocolate bar and more. Plenty of space in transition, which is especially nice when you’re setting up in transition for your first race! Post-race food. I’ve found many races have an abundance of unhealthy greasy fried foods, cookies, chips and non-vegetarian options post-race. It’s nice to have a little treat post-race but I want to properly refuel my body as well. I love that they offer healthy sandwich wraps (including veggie! ), fruits, nuts, crackers, and M&M’s for that little sugar kick. Custom bib with your name on it. This is awesome, especially if you like to keep your race bibs; it’s rare to get one with your name. It also allows the huge crowds of fans to cheer you on by name. As I mentioned earlier there were 335 first time tri finishers and 251 women over 50; that in itself is inspirational. I love being at the race to witness that many first timers accomplish their goals. Seeing women of all ages finish reassures me that this truly is something I can do to be healthy my entire life. This event has to be the closest you can get to a zero waste event. With more than 5000 visitors for the expo and race itself only 29.5 pounds of trash were produced. That’s unreal. My little carry on suit case weighs more than that! They were able to compost 503.5 pounds of waste. They recycled 84.2 pounds of cardboard, 70.5 pounds of other recycling, 14.1 pounds of plastic bags and .9 pounds of chip bags. In total 95.8% of the waste was diverted from landfills. That is a truly amazing figure for a sporting event. I’m slightly biased but I also love that they do sister-sister, mother-daughter and partner awards. 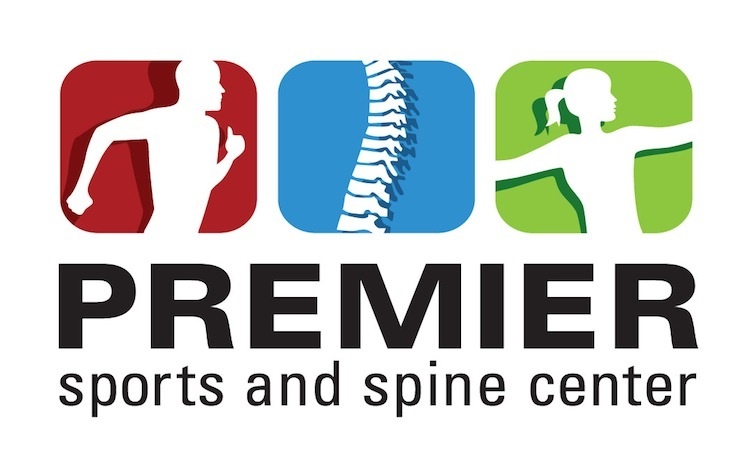 It’s fun to see these teams of athletes competing (and more fun to be a part of one). I could probably go on forever about the things I love about this race. Ladies please come see for your-self what I’m talking about. Guys, you can take part too as a volunteer or just come out and cheer, I’ll share my M&M’s with you 🙂 Next year’s race date will be announced soon so watch for that and get it on your calendar! Now for a quick race recap! Water temperature was over 80 which meant a non-wetsuit swim, which I LOVE! 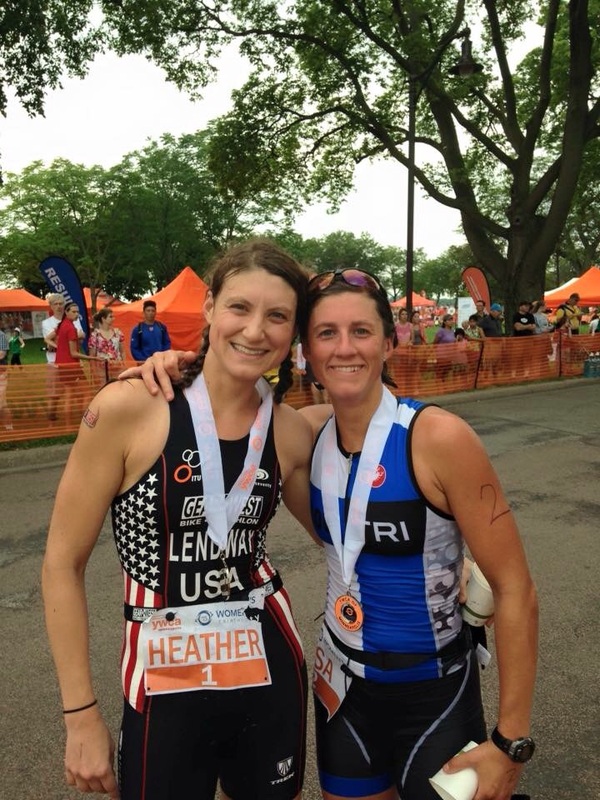 Wore my new custom USA Stars and Stripes Blueseventy TX3000 which I find to be the most comfortable, breathable tri suit on the market. It’s tight in all the right places but doesn’t cut off your circulation or chafe at all. It’s also built like the fastest swim suits for the least resistance in the water making for fast swimming. Swim was solid, a little slower than last year but we were able to wear wetsuits. The bike felt pretty good, I picked up my training the last couple weeks so I wasn’t sure where I’d be on the bike. I was about 15 seconds faster than last year which I’m very pleased with. After a rough June and July post sickness I feel like I’m finally starting to come around, especially with changing up my training. My goal was to push myself as hard as I could from the start of the run, i.e. no pacing! My sprint race running hasn’t been near what it was last year so I was very pleased to be within about 15 seconds of my time from last year. This was definitely my best sprint race run of the year. In the end I missed my course record by 4 seconds. Unfortunately the clock wasn’t right on and I thought I had broken my record. I should have looked at my Garmin but I was watching the large race clock for the last block, I probably could have pushed it a little more to get my record, but more reason to come back next year! I’m sure I would have been a little faster with my wetsuit as well so I’ll take it as a huge positive to be that close to my record. Lisa and I repeated our sister-sister win and lowered the sister-sister record, thanks to Lisa dropping over a minute from her previous time. My nieces and parents were there to cheer both of us on; it was the first race we got to do together this year (verses 10-12 last year) and the first time my favorite little cheer leaders were there too, I’ve missed them! As I think I mentioned in my last post I’ve missed racing with friends and Gear West teammates in Minnesota so it was a huge treat to be a part of this amazing event. I’m looking forward to next year! One last HUGE thank you to all the volunteers, fans, Gear West for supporting me and all the racers, Nicole Cueno the race director, family and friends, you made for an amazing race. THANKS!